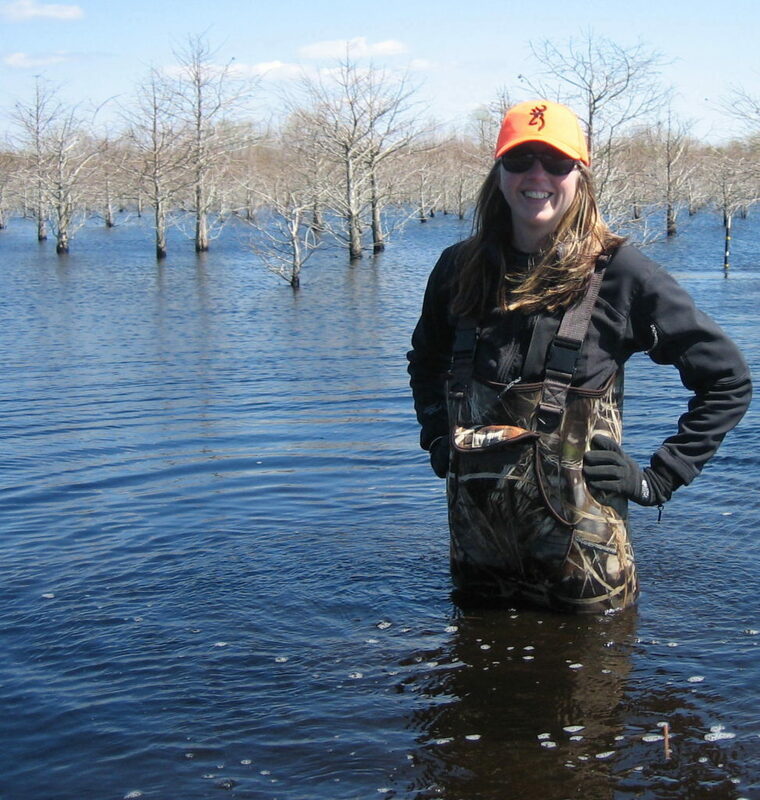 “Wetlands have long been recognized as the single largest source in the annual flux of methane to the atmosphere… but the contribution of vegetation to this flux has historically received little attention. A recent review of the role of vegetation in the annual flux of methane to the atmosphere indicates that vegetation may represent up to 22% (32-143 Tg CH4 yr-1) of this flux via direct and indirect pathways. Though there is a large degree of uncertainty attached to this range of values, methane transport through wetland vegetation is likely to contribute significantly to this estimate. Prior research, as reviewed in Carmichael et al. (2014, Biogeochemistry) has established the roles of 1) live herbaceous and woody vegetation and 2) dead herbaceous vegetation in atmospheric methane flux from wetlands. However, the role of dead woody vegetation in the annual flux of methane to the atmosphere has not yet been resolved.